There is a feeling of calm before the storm here in Israel. Everyone thinks war is unavoidable, and most people understand, at least on an intellectual level, that this war is going to be one of the toughest in Israel’s history. I’ll say at the outset that I’m convinced that we will survive this one too, and even achieve a measure of victory. But the cost will be very high in soldiers, civilians and property, and the price we will have to exact from our enemies will be even higher. As in the past, they have worked themselves into a frenzy, listening to their own propaganda. And as in the past, they will be sorry. But there’s no stopping them, particularly since the Iranian regime thinks it will be able to destroy us by proxy, without getting its own hands dirty. Our government and military will do their best to deter the various actors. Don’t join in, and nothing will happen to you, they will say, as they said to King Hussein of Jordan in 1967. But our enemies’ lack of understanding of our capabilities, their misconceptions about the nature of the Jewish people in Israel, and their incandescent hatred for us will continue to dazzle them. We are facing some 130,000 rockets in Lebanon which can hit almost all of Israel, and some of which can be accurately guided to their targets. There is also an unknown number of missiles in Syria, which can carry chemical weapons. And Iran herself has missiles that can strike Israel from her territory. There are battle-hardened Hezbollah fighters and Shiite militias in Lebanon and Syria, prepared to bring the war to our territory. And unlike the IDF, they will not spare civilians that they encounter. Hamas has also built up its missile forces since the last war, and have hardened their launchers and buried them underground. There is a threat from ISIS in the northern Sinai. Once the war begins we can expect an upsurge in terrorism from Arabs in Judea and Samaria, and possibly even from terrorist cells based in the Triangle area. How many fronts does that make? The IDF expects incursions in the North and has made plans for evacuation of areas threatened by fighting or heavy rocket barrages. Possibly there may also be evacuations in the area around Gaza. The enemy’s first act will probably be massive rocket attacks from Lebanon, perhaps with precision-guided missiles aimed at military targets and sensitive infrastructure. Only some of the incoming rockets will be intercepted by our anti-missile systems, which can be overwhelmed by the sheer number of projectiles. I expect that there will be incursions by elite enemy forces at the same time, in order to create panic and jam the roads with people moving south. Thousands of rockets a day will be fired at first, until our forces can destroy the launchers and stockpiles. The IAF and artillery will hit the launch areas in southern Lebanon, causing massive damage and probably great loss of life to civilians among whom the rocket launchers are placed. IDF ground troops will enter Lebanon to root out the launchers that can’t be destroyed from the air. Heavy fighting is expected in an area that is honeycombed with tunnels and bunkers. Casualties to both the home front and the IDF in this phase may be quite high. 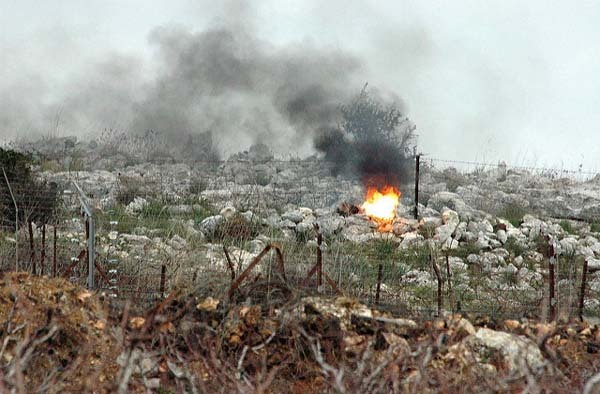 I can’t estimate how long it will take for the rocket fire from Lebanon to be stopped, but in 2006 it continued for an entire month until a cease-fire was signed. The IDF says that it has learned its lessons from that war, but then so has Hezbollah. I think it is true that this time we have far better intelligence and will know how to hit more targets in less time. We may even succeed in decapitating Hezbollah by killing its top leadership early on. But it is impossible to predict what will happen in a four- or five- front war. There are credible estimates of thousands of civilian and military casualties on our side. The war will probably be the most painful of any of Israel’s previous wars (at least in the sheer number of casualties). I think that the Israel of massive construction projects and burgeoning economy will suffer a severe setback from this war, because of the human and financial costs. The “golden age” that we are experiencing today will not continue, or at least will be suspended for some years. The worldwide hate machine will go into overdrive, holding us responsible for the deaths of thousands or even tens of thousands of human shields in Lebanon and Gaza. There will be demonstrations against Israel and Jews everywhere. One is to wait for the enemy to attack and then hit them as hard as possible. This has one main advantage – at least, its proponents claim that it does – which is that world opinion and the diplomatic climate would be more favorable, since we would not be viewed as the aggressor. Our enemies would have violated international law by attacking us, and theoretically a negotiated settlement would favor us. The main disadvantage of this strategy is that a huge amount of damage can be done before we respond. Especially if critical infrastructure is destroyed, our response could be delayed, and the difference could be measured in thousands of deaths. Since ground troops would be required to deal with incursions and hardened rocket launchers, we would be in a difficult spot until the reserves could be called up, especially if we have been attacked on multiple fronts. But the truth is that our diplomatic isolation stems from other nations’ perceptions of their national interest and by their prejudices, and not on the true moral or legal nature of our actions. World opinion is manipulated by governments and media and is also not reality-based. Therefore I doubt that any such abstract advantages would justify the price we would pay for it. And the price would be high. Given the assumption that, bolstered by its patron’s pervasive physical presence, Hezbollah will in all likelihood, eventually, use the vast arsenal at its disposal, the inevitable question is: Will Israel allow its deadly adversary to choose the time, place and circumstances for a major attack against it? Indeed, more to the point, can Israel afford to allow Hezbollah such a choice? Sherman goes on to show that Israel cannot, particularly because the small size of the country and her technological sophistication make her especially vulnerable to destruction of critical infrastructure, such as power plants, desalination facilities, refineries, natural gas platforms, and similar facilities. A preemptive strike might not be quite as effective as it was in 1967, but it would certainly reduce the damage that Israel would need to absorb. If done properly it might result in a quick end to the war. I’ve argued the same thing here and here. There is always the question “what will the great powers do?” That means, of course, the US and Russia. The rest of the world will talk, but does not have the power to act (the Sunni Arabs will condemn us in public but smile in private). It is hard to predict what the Trump Administration will do, but it is certain that a Democratic administration would be worse, which argues for taking action sooner rather than later. Will the Americans insist on prior knowledge of the operation? Can we take the risk of telling them? What will happen if we don’t? As far as Russia is concerned, part of our plan will have to include guaranteeing Russia’s interests in the region. What this would mean in detail would have to be worked out, but I don’t think our interests and Russia’s have to contradict each other. The problem is that time is not on our side. The longer we wait, the more expensive in lives and money the inevitable war becomes. The comforting argument that because of our strength our enemies will continue to be deterred falls apart with every new report that Iran has built this or that facility, or introduced this or that militia into Syria. Sherman asks: do we want a triumph like 1967 or a trauma like 1973? I don’t know if we can achieve a victory as total as 1967, but only preemption will save us from an outcome that could be much worse than 1973.